The National Eye Institute, a core laboratory of the National Ophthalmic Disease Genotyping and Phenotyping Network (eyeGENE), receives blood from individuals with inherited eye conditions and isolates DNA for clinical genetic diagnostic testing and research. The laboratory then returns clinical genetic tests to the affected individuals. Therefore, preserving sample integrity throughout processing is essential. 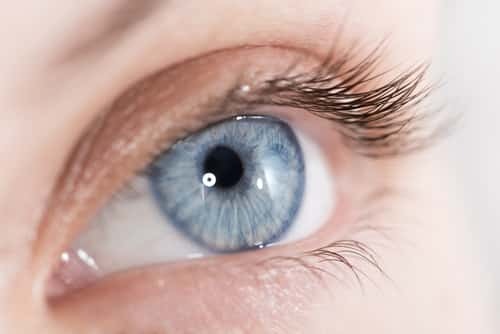 The primary goal of eyeGENE is to foster research into the causes and mechanisms of inherited eye diseases and translate these discoveries into potential treatments and cures. At the core of this program is a controlled access database and biorepository that links genotype and phenotype information to corresponding DNA samples for enrolled participants. The eyeGENE biorepository houses more than 30,000 aliquots of blood and DNA from over 6,000 participants. The eyeGENE network is populated by participants enrolled by registered eye health care professionals across the United States and Canada. When the eyeGENE laboratory receives a participant’s whole blood, researchers isolate the DNA and bank both blood and DNA. From here, samples undergo sample confirmation testing (SCT) before being shipped to a clinical molecular diagnostic laboratory and/or to an approved researcher. No single kit could amplify the desired STR loci directly from both blood and DNA, so eyeGENE modified multiple commercially available kits, combined them and clinically validated them to produce the QA/QC. Their methodology has proven to be highly effective in identifying significant errors that may occur during sample processing. Furthermore, the investigators have shown efficacy in identifying errors originating before the sample entered the eyeGENE program, such as mislabeling of the participant’s blood tubes by the referring clinic. The SCT analysis provides researchers with insight into the types of laboratory errors that are most common. Of the 0.4% of tested samples where they identified laboratory errors, researchers found two cases of contamination and one case of outside clinic error. The remaining errors were sample mismatch events, where the labels did not correspond to the participant material in the tubes. Parrish et al. highlight the importance of QA/QC and the way in which SCT leads to improved standard operating procedures and sample processing, which will reduce laboratory error rates over time. 1. Parrish, R.S., et al. (2016) “Sample confirmation testing: A short tandem repeat-based quality assurance and quality control procedure for the eyeGENE biorepository,” Biopreservation and Biobanking, 14(2) (pp. 149–155).